With miles of beaches and a cool Latin flair, Miami has much worth raving about. The illustrious Art-Deco district of South Beach is on the celebrity-radar, as well as the chic neighbourhoods of Bal Harbour and the walkable Lincoln Road. Miami is up to the minute with fashion and food trends, luxurious hotels and the hottest nightclubs. People watching is key, whether you’re lounging on the beach or walking the streets. Famous for its Cuban food and salsa music, visit Miami for a good time and some much-needed sunning on the sand. Love beaches? Nightlife? Shopping? Dining? Entertainment? Miami has it all. 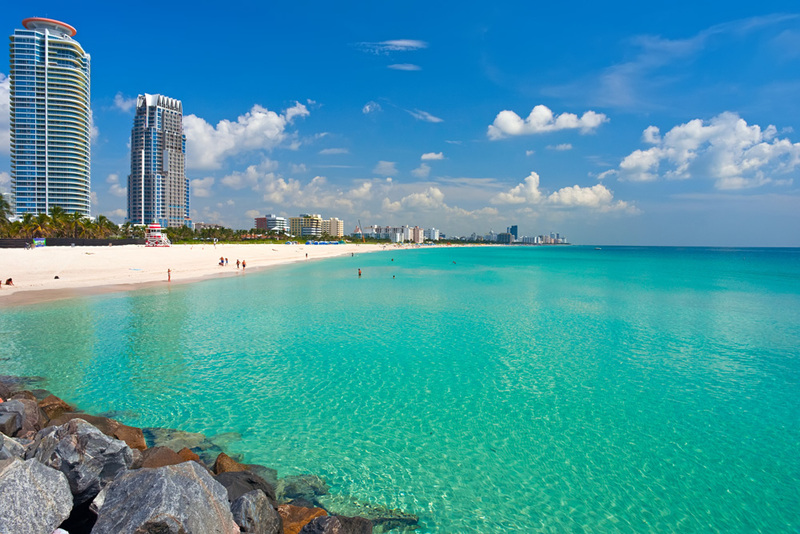 A laid-back beach city with big city buzz, Miami tourist attractions appeal to young people on a search for the trendiest spots, couples seeking romance and relaxation, and families who want an enjoyable beach vacation mixed with child-friendly attractions in sunny Florida. 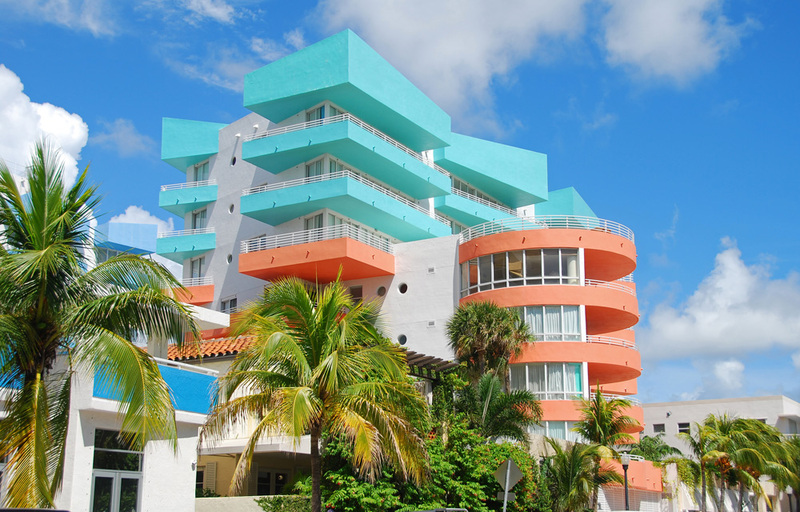 South Beach Art Deco District: This vibrant and compact neighbourhood is very walkable, filled with locals and snowbirds, seniors and students, wanting a taste of the pastel Art Deco architecture, frolicking bikinis, and Caribbean-inspired cafes, not to mention the crowded beach strip. The beachside promenade is perfect for rollerblading and leisurely strolls to peruse the restaurants, nightclubs, and outdoor patios. Lincoln Road Mall: This is the place to enjoy gelato or glass of wine while lounging on the patio. The pedestrian outdoor stretch is studded with boutiques, cafes, and art galleries where you can spend the day or night strolling by. Bal Harbour: A swank area best known for the Bal Harbour Shops, an upscale mall with luxury fashion collections, you’ll also find ritzy hotels, yoga on the beach, and golf here. Little Havana: Home to many immigrants from Cuba and South America, you’ll find colourful murals, monuments, fruit stands, art galleries, Cuban restaurants, and cigar shops during your visit. Aventura Mall: Shopaholics will love this upscale mall for shopping and style inspiration. It has 126 shops including 12 dining options and a food court. Key Biscayne: This secluded island town is home to fantastic beaches, a coastal barrier reef, and quaint neighbourhoods. During your visit, experience seafood restaurants, small boutiques, and boating and water sports. There is also a Nature Center where you can set sea turtles free or visit the Miami Seaquarium to spot sea lions and crocodiles. Bayside Marketplace: Located by the harbour, this market-style mall has an open-air concept where you can explore the shops, dine on a patio, or watch the boats sail by. 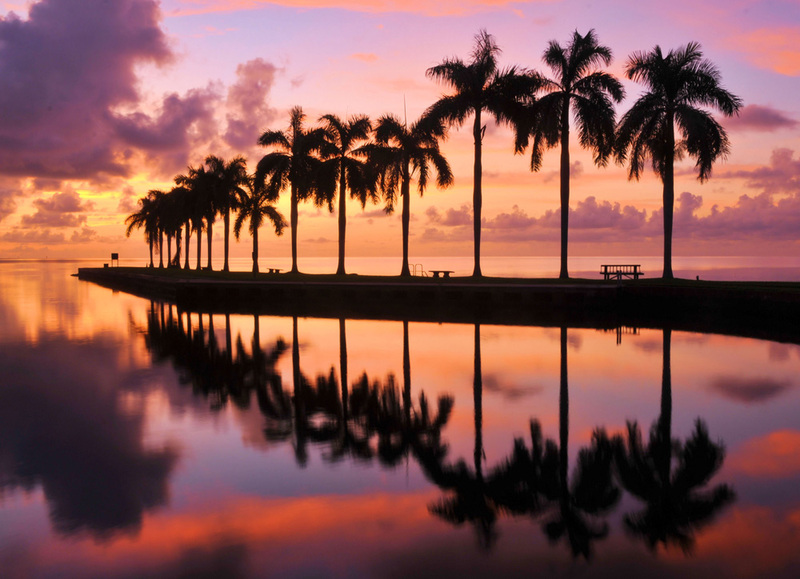 Coconut Grove: This charming bayside village boasts sidewalk cafes, galleries, boutiques, and parks. It known for its hip bohemian vibe, and is home to many festivals like the three-day Coconut Grove Arts Festival in February. Vizcaya Museum and Gardens: A historic ten acre estate built in the 1900s, Vizcaya Museum and Gardens is located in Coconut Grove. Its main gardens are beautiful, but its Main House is even more impressive, featuring a collection of European antiquities and American art. Attractions for kids include Miami Seaquarium, Zoo Miami, Coral Castle Museum, Miami Children’s Museum, and Miami Science Museum. 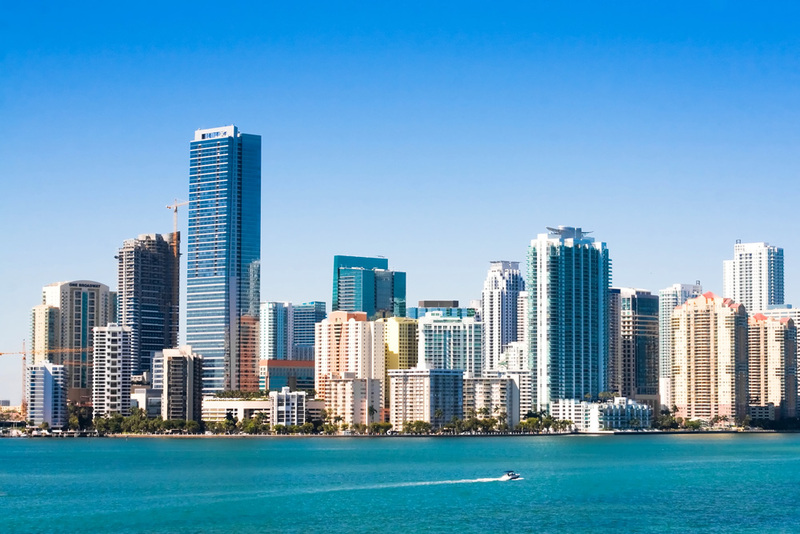 Miami has many neighbourhoods to choose from with varied accommodations, ranging from independent boutique hotels to huge North American chains. South Beach is a popular area for those who want a taste of the Miami action and glamour. The boutique hotels bring in designers and fashionistas who opt for accommodations with the famed Art-Deco flair (which can sometimes mean they are more dated inside). Miami Beach is further north and offers more value in your trip. It is less crowded and quieter with more resort hotels. 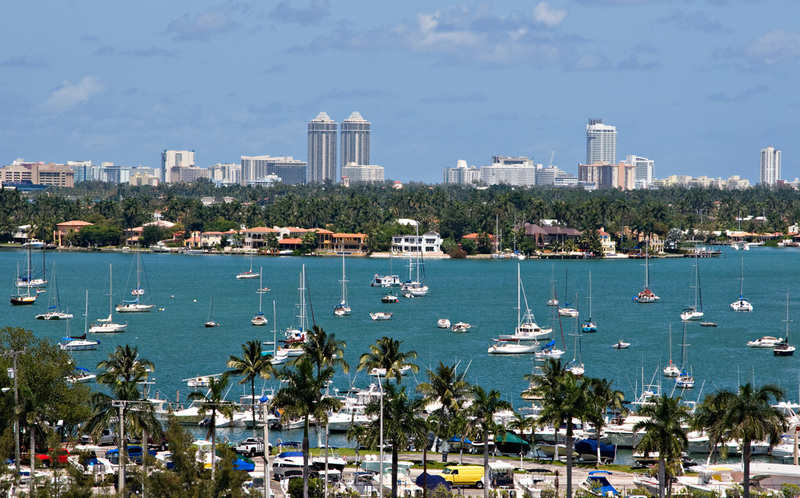 Key Biscayne is a more residential and private area, but still close enough to downtown, whereas downtown Miami is popular with business and cruise travellers and is home to hotel chains like the Hilton and Marriott. Coconut Grove is the place to stay for artsy types. In the heart of South Beach you’ll find this contemporary hotel with classy décor and breathtaking ocean views from every guestroom. The property has two pools with luxe cabanas to unwind in, two stylish restaurants and two bars, and a private beach. Eden Rock is part of the hotel strip along Miami Beach, less crowded than its South Beach counterpart. 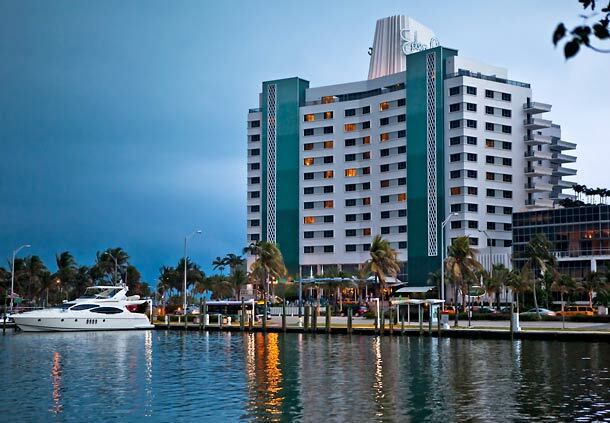 The hotel is a resort of its own, with a location on Collins Avenue just a short drive away from Miami attractions. Offering 631 guestrooms and suites, four pools, open-air dining, a lobby bar, spa, and an intimate beach strip, Eden Rock Miami offers modern luxury and a convenient location. Located on the sandy beachfront of Millionaire’s Row, Casablanca on the Ocean has 275 studio accommodations with ocean or city views and 12 two-bedroom townhouses. All rooms have fully-equipped kitchens with a refrigerator, microwave, stove, oven, coffee/tea maker, cookware, and dishes. The hotel features a beachfront pool and restaurant, and is great for family vacations and longer stays. Visitors to Miami spend a weekend to a week exploring the city. In the winter season, the warm, dry weather attracts travellers for Miami’s busy season, while prices lessen in the summer when it’s hot and humid. Spring is a nice time to visit, when the weather is agreeable but prices have not yet sky-rocketed. People who visit Miami who are not taking a cruise generally fly (or drive) and book a hotel to explore the area independently. There are day trips available that offer guided tours or sightseeing access of different areas. Key West Day Trip: Travel to this culturally rich island on a 15-hour day trip which includes free time and round-trip transportation. Explore the quaint shops and outdoor cafes or choose to upgrade your day trip package to include a glass-bottom boat ride, snorkeling cruise, parasailing adventure, ride on the Conch Train, or Hop-on Hop-off Trolley Tour. Miami Combo Tour: City Sightseeing, Biscayne Bay Cruise and Everglades Airboat Ride: This 9-hour tour combines a sightseeing coach tour of the city to see hotspots like South Beach, the Versace Mansion, and the site of Michael Jackson’s Thriller video with a 75-minute cruise on Biscayne Bay to admire celebrity homes and the Miami skyline. The third part of the tour is an Everglades airboat ride that will take you through the marshlands to spot wildlife like alligators, turtles, snakes, fish, and exotic birds. Tours of the Everglades and Biscayne Bay cruises are also available separately. Go Miami Card: This card is available for one, two, three, or five day durations and provides extensive value for your money. You’ll get free admission to many attractions, including Gator Park Airboat Tour, Key West Day Trip, Everglades Airboat Ride, Zoo Miami, Miami Science Museum, and so much more. 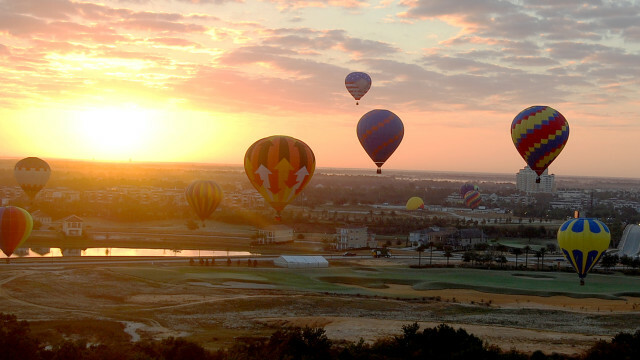 You’ll even get access to Fort Lauderdale and Orlando attractions like WonderWorks, Ripley’s Believe it or Not!, Gatorland, and other fun spots. Miami Helicopter Tour: Take a 30-minute aerial tour of Miami to admire the beaches, skyline, and beautiful homes. Ultimate Miami Watersports Adventure with Transport: This half day watersports adventure includes a catamaran ride where you’ll arrive at Key Biscayne Beach and kayak, snorkel, jet ski, or simply swim and take turns jumping off the water trampoline. The tour includes hotel pickup, lunch, and all of the necessary equipment. One Day Admission to Disney World Theme Park with Transportation from Miami: Spend the day at one of Walt Disney World’s six theme parks with round-trip transportation by coach from your Miami hotel. Known as the cruise capital of the world, the port of Miami sees close to 5 million passengers every year, serving as a gateway to the Bahamas, the Caribbean, and Mexico. 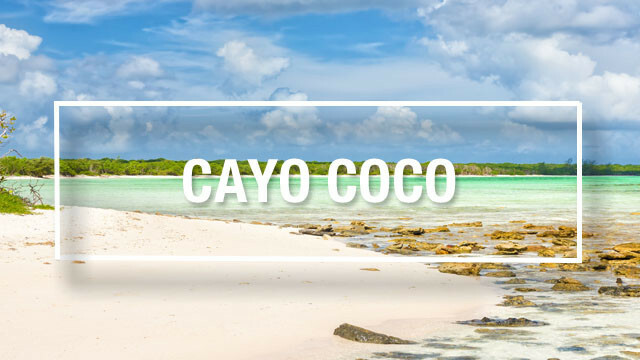 Miami cruises sail to destinations like Cozumel, Grand Cayman and Key West on a Western Caribbean itinerary, and St. Maarten, St Kitts, San Juan, Antigua, and Grand Turk on an Eastern Caribbean itinerary. Because of Miami’s proximity to the Caribbean, cruises as short as three days are available. The cost of a taxi from the Miami airport to the cruise port is about $24 for a 20 minute ride. Arriving the day before your cruise is ideal to ensure you arrive to port on time in the case of any delays. The Port of Miami is closest to downtown Miami for those looking for a quick hotel stay, but many travellers stay in South Beach, about a 10 minute drive away, for their pre- or post-cruise vacation, where a car may not be required. Visitors to Miami can arrive into the Miami International Airport (MIA), 19 km west of downtown, or the Fort Lauderdale/Hollywood International Airport (FLL), 48 km north of downtown. Travel to your hotel using the free hotel shuttles (if your hotel offers this service), a taxi, or the SuperShuttle. Taxis typically have flat rates from the airport to the city center. Rates are determined by zones: for example, it costs $35 from the Miami airport to Zone 4, which includes South and Central Miami. If you’re arriving into the Fort Lauderdale airport, taxi cabs are available for approximately $70 and the GO Airport Shuttle is $25. The ride is approximately 40 minutes. Flights to Miami from Toronto, Ottawa (connecting), and Montreal range from $450-$600. Flights from Eastern and Western Canada are connecting and range from $560-$1200. 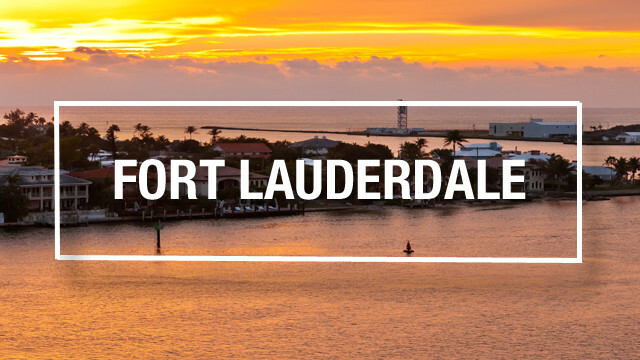 Flights into the Fort Lauderdale airport are typically less expensive. A car is recommended if you’re staying in Miami to visit the many different sights since they are not all within walking distance. Car rentals range from $13-$45 per day in low season (summertime) and start at $23 per day in high season. If you are planning on a short stay in a specific area, for example, South Beach, an occasional taxi is a good alternative to renting a car. If you are taking a cruise and will not be spending much time in the city, a car may not be necessary. Transfers and ground transport are available to get to your hotel, cruise port, malls, and more. Hotels range from $80-$500 per night, though a nice stay in a 4-star hotel averages $150 per night. Hostels are also available for approximately $45 per night. 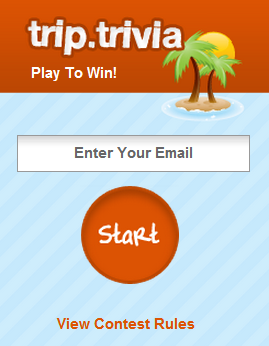 Miami vacation packages which include flights and hotel depend on your location. They start at approximately $550 for Toronto and Montreal departures and $1300 for Vancouver departures.